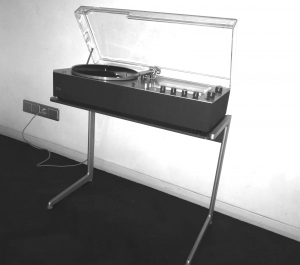 This item was sold in 1956 for the first time, and it was a real innovation in a by huge radiogramophones dominated market. 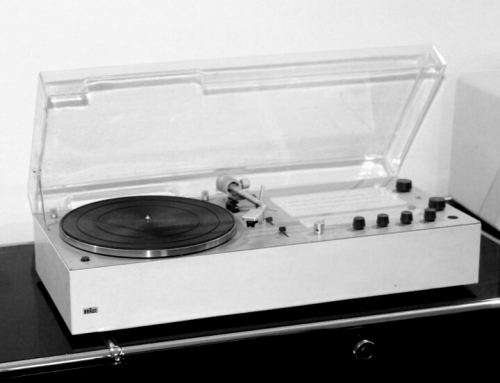 This was a new-style radio-phono-combination, Designed by Hans Gugelot and young Dieter Rams, who added the perspex hood, which reminded Gugelot of the fairy tale ‘Snow White’s Coffin’. We will not know, wether this was a derogative title given by Hans gugelot, but this stylistic design was a groundbreaking interpretation of design for the future. The model phonosuper SK4/1 from 1957 is commonly known as Snow White’s Coffin and has it’s place in the Museum of Modern Art in New York. 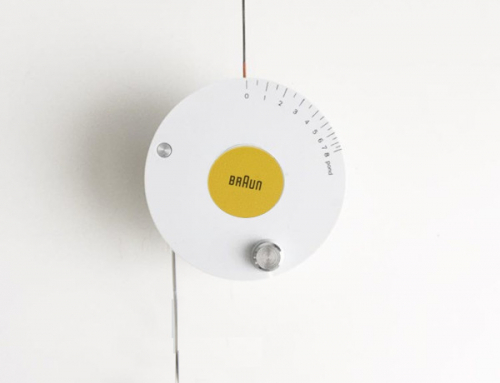 It was not solely designed by Dieter Rams, also Hans Gugelot and Wilhelm Wagenfeld participated in the developement. This item was sold in 1956 for the first time, and it was a real innovation in a market, dominated by huge radiogramophones. 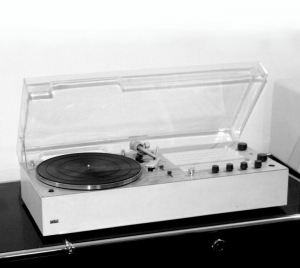 This was a new-style radio-phono-combination, Designed by Hans Gugelot and young Dieter Rams, who added the perspex hood, which reminded Gugelot of the fairy tale ‘Snow White’s Coffin’. We will not know, wether this was a derogative title given by Hans gugelot, but this stylistically design was a groundbreaking interpretation of design for the future. 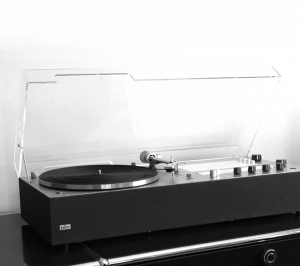 Some improvements took place in 1962: The SK61 came with a stereo turntable and a two channel amplifier. The SK 6 and the SK61 were the first stereo systems of this series. The radio receiver was still in mono, the first stereo FM broadcast came in 1964. 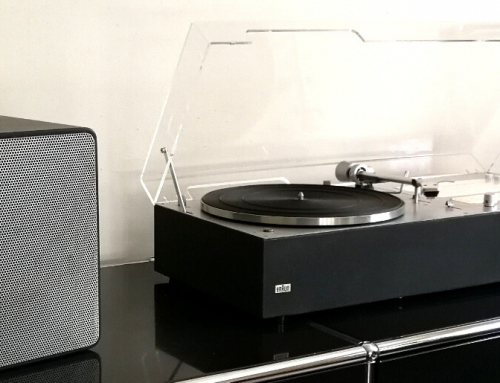 Here you could connect a second speaker cabinet and listen to records in stereo for the first time in Braun history. 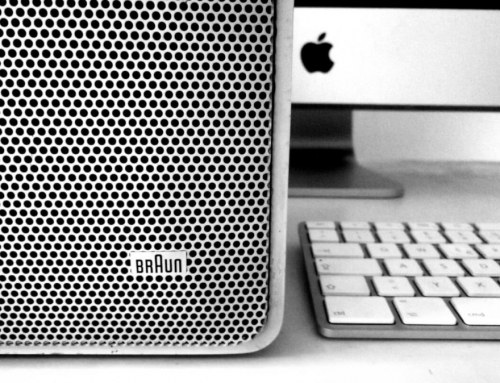 The speaker cabinet L1 was built in 1957 for the first time, and was a perfect combination with the Braun Atelier 1 Radio. But the L1 Speqker cabinet is also a perfect fit to the SK series. Technically they were not highly sophisticated, a woofer and a high-frequency loudspeaker is built-in. 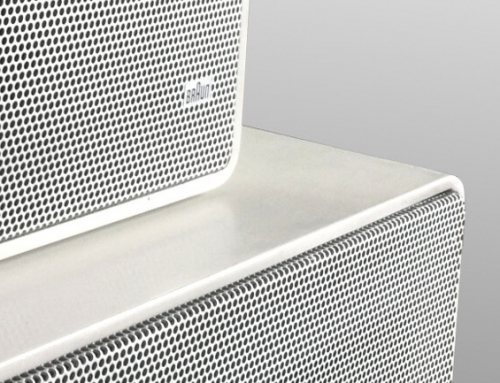 Later the models L11 and L12 came with two high-frequency speakers. The SK55 was released in 1963 and was the latest model of the SK series. 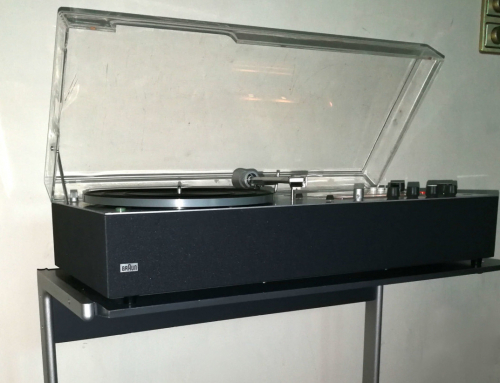 Some evident improvements were the divided ventilation slots, and the completly new designed turntable with adjustable tone arm. This is a mono system again, here you can’t connect a second loudspeaker device, as you can with the SK61.